If you like the Stackable Shoe Rack concept but prefer a more self contained unit this Model is the answer. 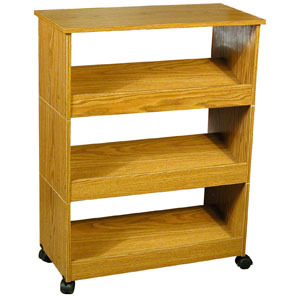 This Mobile Shoe Caddy is actually 3 stackable shoe racks on casters for added versatility. It also features a handy, useable top. Item Weight: Approximately 30 lbs.